Hi all - I purchased a set of IKEA kitchen cabinets recently and they are getting delivered shortly. Like most IKEA products, they will require assembly. I understand that there are a variety of services out there that will assemble and install IKEA products. I am wondering if anyone has a recommendation for such a service - especially if your experience involves assembly and/or installation of kitchen cabinets. The sleeper sofa I posted about on 12/9 is now free to a good home! It's outside at 112 Summer St. I'm thinking of getting rid of my old (but still in peak condition) student desk. Could any of you use such a thing, or do you know someone who might want it? It's 29" high, 26" deep, 48" wide, made of wood. Has a monitor-stand platform thingy (separate piece, sits on the desk). Easily dis/reassemblable into its component boards. One side has 2 drawers and a file drawer; the other side has 3 bookshelves. Pictures available. Consignment Galleries, which recently closed at 363 Highland Ave., will reopen on March 7 at 965 Mass. Ave. in Arlington. Their phone number is 617-629-4900. I'm glad they're staying around. We've got a huge couch that's got some tears, is generally showing it's 20-something age, and definitely needs to be reupholstered. It's a huge couch that I don't want to have to transport out of the house. I know that there are services that will come to your house and do all the work right there in your living room. Has anyone used such a reupholstery service (or know of one) that they would recommend? DIY is not an option for us. I got my futon frame and a couple of other pieces of wood furniture fixed, and the guy deserves a recommendation. His name is Kris Kroutt, phone number 617-230-5050. Besides furniture repair, he does these things (quoting from his flyer): "painting, carpentry, masonry, tile, plastering, sheetrock." Also shovels snow, I think, and he took my AC unit out the window for me. "No job too small," he says, "and free estimates." He repaired the furniture nicely including part of a treasured antique dressing table, was prompt in showing up when he said he would, and is generally businesslike. I'd hire him again. Just an FYI about a local business closing, in case it was previously unreported here. The Consignment Galleries, on Highland, will be closing in February. They've been there since '03, and have been in business in the area since '89 (http://www.theconsignmentgalleries.com/). The owners/operators are really nice people and were recently told by their new landlord that their lease will not be renewed. Their building stretches between Highland and the bike path, and houses 8 other businesses including a dry cleaner. I spoke with the owners the other day and they said that the new owner is likely planning on eventually taking down the building and constructing anew, after the other current leases expire. In the meanwhile, short term leases will be granted in the spaces of current businesses, once their longer-term leases expire. 1. If you're looking to do some holiday shopping, The Consignment Galleries is always a great spot to look for gifts, and the owners and consigners could use the income. 2. When long-time local businesses close, I think it's always of note. 3. The owners have no idea about whether they'll be able to relocate, and, being of somewhat advanced ages, are probably concerned about employment prospects and retirement security. Therefore, I've thought the DSLJ community might have ideas for them about potential storefronts where they could relocate. 4. I imagine that some users of DSLJ (I'm new) are members of the press or blogging communities. If so, I thought that the closing might warrant a piece in a local publication, given the uniqueness of the store, the charm of its owners, and the development narrative that their forced closing fits into, vis a vis Davis Square's trajectory in the past decade or more. 5. As a consignment gallery, the store offers a curated space where locals (and non-locals) can sell their goods. It's like a craigslist in the flesh, where you can inspect and hold items before buying them. I suspect that quite a few Davis Square residents or denizens earn money on the side from selling wares at the galleries. So it will be unfortunate when the galleries close, as that income will potentially be lost for those residents. Thanks for your attention. I should note that I have no connection to the Consignment Galleries, other than as an occasional customer. I'm always impressed with the solicitude of the owners, and with the variety and uniqueness of the items they and their consignees sell. carpenter for in-home furniture repair? I checked the tags and couldn't find anything on what I need: someone to fix the wooden frame of my futon/couch. Parts have started to separate from each other and I think all that needs to happen is to knock them back together and, I dunno, re-glue them or something, but I don't know how to do that. Do we know of anyone who would do it without wanting to move the thing to their workshop? We just curbed a gray couch that wouldn't fit up the windy atairs in our new apt. Slight cat scratch damage, but otherwise comfy and lovely. Three seater. I am not sure what trash night is for my new place, but I'm hoping it's not tonight. I'm joining the many who are switching addresses this week, and this piece has to go. Very solid (it's heavy), 2 drawers & 2 cabinets still in perfect working order with all original hardware. Measures 60x20x37. 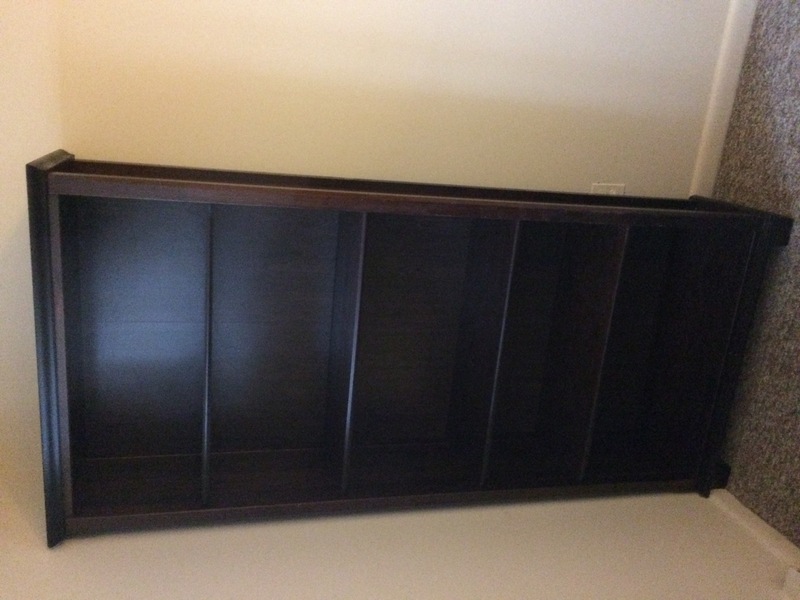 I hate to give it up - has tons of storage space, but it wont fit in the teeny new apt. If you can take it before Saturday, let's talk. (I honestly have no idea what it's worth.) I'm in Ball Sq. I can be reached by my username at gmail. I'm looking for a company (insured, professional) that can disassemble an armoir and reassemble it upstairs in my house. Any suggestions? It's great but it takes up too much room. Queen sized. I paid $200 for it, and I will ask only $150 if you deal with transporting it. About a mile from Davis. We have a big, heavy massage armchair that's getting on in years. The leather on the part of the armchair against your back has split. Anyone have a recommendation on someone who might be able to come out to our house to repair this? We've got too much furniture for our space, and this has drawn the short straw. No tears, small scorch mark on one arm cushion from my knocking an iron over. Boston interiors "Casandra Apartment Sofa"
I bought it about 5 years ago when living in a place with tiny proportions. It's very comfy, and if we had more room here, I'd keep it. For the past year it's been in the 'stuff' room which means minimal use. Owned by adults with no kids, pets or smokers. Sorry for the repost, but the previously interested party didn't need it after all. 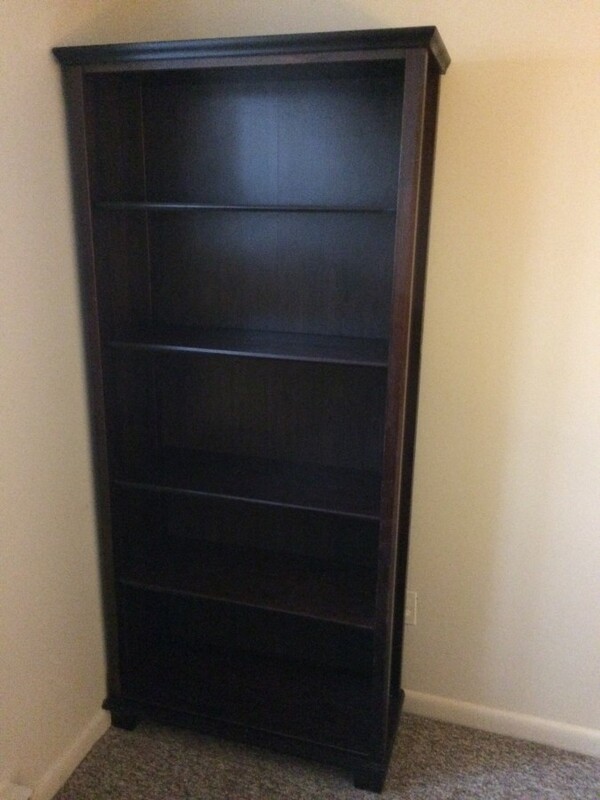 I bought it about 5 years ago when living in a place with tiny proportions. For the past year it's been in the 'stuff' room which I want to actually make usable. she-of-emeralds.livejournal.com - carpenter for in-home furniture repair?